FSM solutions have traditionally focused on increasing efficiency and reducing costs, but those benefits are largely internal – cutting costs doesn’t translate into additional customer benefits or increased revenues. Modern field service software, however, provides FSOs with new tools and data that can help them create new types of service offerings and have a measurable impact on revenue. Faster, More Accurate Billing: In this regard, the automation and efficiency provided by an FSM tool can impact cash flow. By eliminating the delays associated with paper work orders and invoices and using software to ensure invoices are accurate, FSOs can accelerate the billing cycle and service-to-payment timeline, which creates faster cash flow. In addition, by providing technicians with accurate information about customers, service contracts, and warranty status, companies can eliminate lost revenue from technicians inadvertently providing warranty service on out-of-warranty equipment. Real-Time, Proactive Maintenance: FSM software gives the entire organization a more complete view of each customer and the equipment they use. With an up-to-date view of asset performance, service histories, and failure data, technicians can proactively perform additional preventive maintenance work during their service calls and keep customers up-to-date on scheduled maintenance and asset life cycles so they will know when it’s time to retire or update their equipment/assets – and do so before a catastrophic failure. Upselling/Cross-Selling: Service technicians provide a valuable touch point with existing customers, but these interactions have historically not been leveraged as sales opportunities. However, because of their perceived expertise, technicians are often seen by customers as trusted sources of information and advice – and they can play a crucial role in improving your customer relationship management efforts. FSM solutions allow technicians to recognize opportunities and suggest additional services or products, as well as generate quotes on their mobile devices, create new work orders, perform the work, and capture payment. Using real-time mobile technology means a faster transition from quote to work order. Service technicians are usually not natural salespeople. How can you successfully transition your team so they can comfortably upsell, cross-sell, or resell at the customer site without badgering customers? The answer is software. Using checklists, reminders, and automated workflows helps guide technicians through these processes in a way that is seamless and provides value to the customer. Field employees have full access to customer histories, the names of key staff members, and other data that helps them complete these new sales tasks with confidence. Transition to Outcomes-Based Service: The service industry as a whole is moving away from a reactive, break-fix model to one in which the FSO sells reliable outcomes to customers. This proactive model relies on a mix of real-time equipment monitoring, regularly scheduled maintenance, and a reliance on uptime and other performance indicators as a measure of success. FSM software is the only way to successfully make this transition. Customer Satisfaction and Retention: FSM software enables service-oriented companies to provide faster, more efficient service; improve service level agreement (SLA) compliance; and increase their ability to achieve a first-time fix at more service visits. In addition, by providing more proactive service and increasing asset uptime, service companies can increase customer satisfaction. FSOs can also improve the overall customer experience by leveraging FSM features such as customer web portals and mobile apps that allow customers to self-schedule service, monitor technician progress or arrival times, and view data about equipment/asset performance over time. Customer satisfaction can’t be the endgame, though; satisfaction must translate into tangible benefits for the service provider or it is of little value in the long run. That may be in the form of increased customer retention, increased customer investments in your products or platform, or longer duration of the customer relationship, but the benefits should be expressed in some way that is measurable. FSM software provides a way for organizations to strengthen customer relationships by improving service and creating new value. More importantly, modern FSM solutions can provide the flexibility to tailor your service delivery and communication to meet the needs of specific customers. To create a great experience, you have to go beyond designing a one-size-fits-all approach – your customers aren’t all exactly alike, and your approach to the customer experience should reflect that. Some customers want updates via a mobile app. Some want to access a portal that enables self-service, web-based scheduling, and updates. 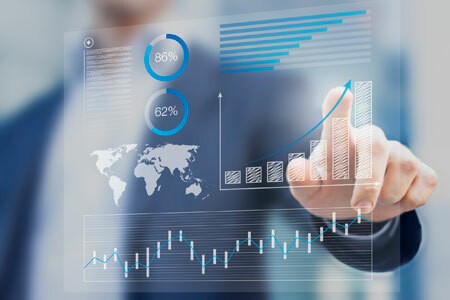 Others want business analytics access to see how their assets are performing and what that means for their own operations. Some customers may want access to this information every day; others may only need monthly or quarterly reminders. For some more strategic customers, for example, the FSO may need to provide a real-time text alert to site managers each time there is an equipment failure. This is risky for the product or service provider – it means you are giving customers full visibility into your own failures or your product’s failures. But that is the price of giving clients a modern service experience – they expect you to share that information and then tell them what you are going to do about it. Customers are demanding transparency, and to remain competitive, service organizations have to deliver on that and embrace the types of changes required to measure failures, respond promptly to them, and then put policies and procedures in place to reduce their frequency. FSM software enables those processes by providing a business intelligence layer that lets both the FSO and their customers know when things are going well and when they aren’t. Field service software solutions also provide a feedback loop for the FSO that helps them better determine what services are driving profitability based on data generated by the FSM and input from customers and field technicians. This helps service organizations improve their current product offerings and create new products and bundles based on that feedback. Because FSM software provides full visibility into both asset/equipment and technician performance, that data can help guide better, fact-based conversations both internally and with customers. Astea’s analysis of its own software’s performance found that, on average, FSOs were able to make significant productivity gains and reduce costs. In the first year of deployment, FSM software can provide a cost savings opportunity of $86,520 and productivity gains that can total $627,391. Reduction in Administrative Costs: By eliminating paper, technicians spend less time on administrative tasks, and back office staff can process work more quickly. Aberdeen estimates administrative work hours can be reduced by 15 percent on average. Call Center Improvements: With access to more customer data and history, call centers can handle a higher call volume without hiring additional staff, and more service calls can be resolved over the phone without costly truck rolls. With the addition of an online self-service portal or mobile app and remote maintenance functionality, FSOs can also reduce call volumes and transfer some service deliveries to lessexpensive channels. Technician Productivity: Technicians can complete more work orders per day because they spend less time on nonvalue-added tasks (paperwork, phone calls, etc.). Overtime costs can also be reduced. According to Aberdeen Group’s data, annual work orders completed by technicians can be improved by more than 8 percent using FSM. Fuel Savings: With scheduling and routing optimization, service organizations can reduce fuel costs via more efficient use of vehicles. Inventory Savings: FSM solutions can provide better visibility of parts and tool inventories on the truck and in the depot. This not only ensures the technicians arrive at the job site with everything they need but also makes it easier to conduct inventory transfers in the field and enables the use of just-in-time inventory ordering. This reduces the need for safety stock and reduces overall inventory costs. Astea customer Ricoh increased field productivity by 15%, and customer APi Group increased field productivity by 25%. Although deploying an FSM solution and associated mobile computing hardware requires a significant investment in money and time, these solutions can quickly generate an ROI through a combination of cost savings and top-line revenue improvements. That latter is increasingly important as FSOs search for ways to generate more revenue and improve the overall customer experience. While cost savings are still important, the ability to retain customers and take advantage of new revenue opportunities with existing customers will have a much larger long-term impact on the service business. Astea International is a global leader in field service and mobile workforce management, including all the cornerstones of full-service life cycle management: customer management, service management, asset management, forward and reverse logistics management, and mobile workforce management and optimization. Astea’s technology helps the world’s best service-driven companies generate higher profits while properly balancing customer satisfaction and service levels through proactive communication that creates a seamless, consistent, and highly personalized experience at every customer relationship touch point. Astea’s solutions unify processes, people, parts, and information to focus the entire organization on the creation of sustainable value in highly competitive, global markets.